I’m not usually the type of guy to rush out and see a movie like The Hunger Games in theatres. I guess that is why I had not seen the film, until now. I probably would have put off seeing this movie even longer, but since a friend of mine wanted to see the The Hunger Games: Catching Fire (2013) in theatres, I thought it best that I see the films in order. People have raved about this movie, but it just wasn’t a must-see for me, even though, for the most part, it has a very solid cast. I don’t know if it is the PG-13 rating or what, but it just appeared to me like it would be a teenie-bopper film of sorts. The movie takes place in the future where a society is split up into twelve districts. Once a year a lottery takes place in order to select a young man and a young woman from each of the twelve districts to take part in a televised battle to the death called The Hunger Games. 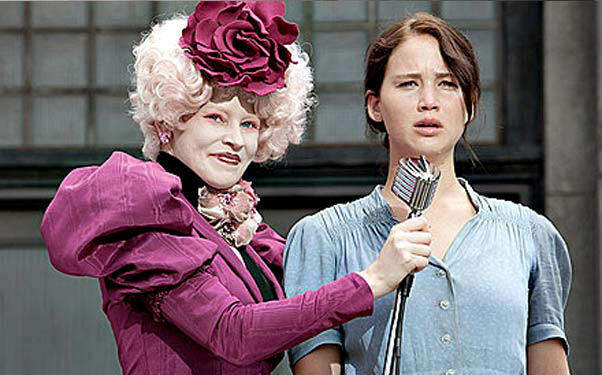 The latest Hunger Games gets its first volunteer, Katniss Everdeen (Jennifer Lawrence). Katniss volunteers in order to protect her younger sister from almost certain death. 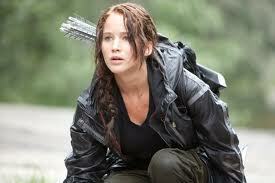 Now, Katniss is facing the same odds. The film was directed by Gary Ross and the rest of the noteworthy cast includes Donald Sutherland, Woody Harrelson, Stanley Tucci, Elizabeth Banks, Josh Hutcherson, Wes Bentley, Lenny Kravitz, Liam Hemsworth, and Toby Jones. I’m not sure that I buy into the concept of a society that would force a few of its residents to battle in a fight to the death. The idea was a little bit of a stretch. However, it did remind me a little bit of gladiators being forced to fight in an arena. It’s a backwards advanced warped society that would be a sick world to live in. Maybe I just hope that it could never get that bad, but given the world that we live in, maybe I’m just in denial. After all, if the holocaust can happen, maybe something like this could too. A movie like this that takes place in the future can get away with a concept like this one, because nobody knows what the future holds. The film was a cross between The Most Dangerous Game (1932), Death Race (2008), and Gladiator (2000). The Hunger Games was certainly better than I anticipated it would be. The big name actors in the movie all played their parts well. However, it was ultimately Jennifer Lawrence’s film. It was an intensely engaging, heartfelt movie with lots of cool visuals and a good soundtrack. At times, the graphics were a bit overdone and almost too colorful. Some of the costumes were far out. The technology in the film seemed a little too advanced for a poor society. All of these things temporarily took away from the story along with a touch of lower quality acting from the lesser known supporting cast members. 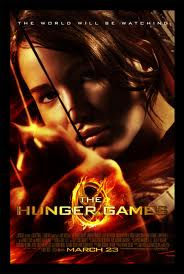 Overall, The Hunger Games was a big surprise to me. It far exceeded my expectations and I wish I had given it a chance sooner, because I didn’t give it the credit that it deserves. Posted on November 27, 2013, in Action Movie Reviews, Drama Movie Reviews and tagged Death Race (2008), Donald Sutherland, Elizabeth Banks, Gary Ross, Gladiator (2000), Jennifer Lawrence, Josh Hutcherson, Lenny Kravitz, Liam Hemsworth, movie, Stanley Tucci, The Hunger Games (2012), The Hunger Games: Catching Fire (2013), The Most Dangerous Game (1932), Toby Jones, Trailer for The Hunger Games (2012), Wes Bentley, Woody Harrelson. Bookmark the permalink. 1 Comment.